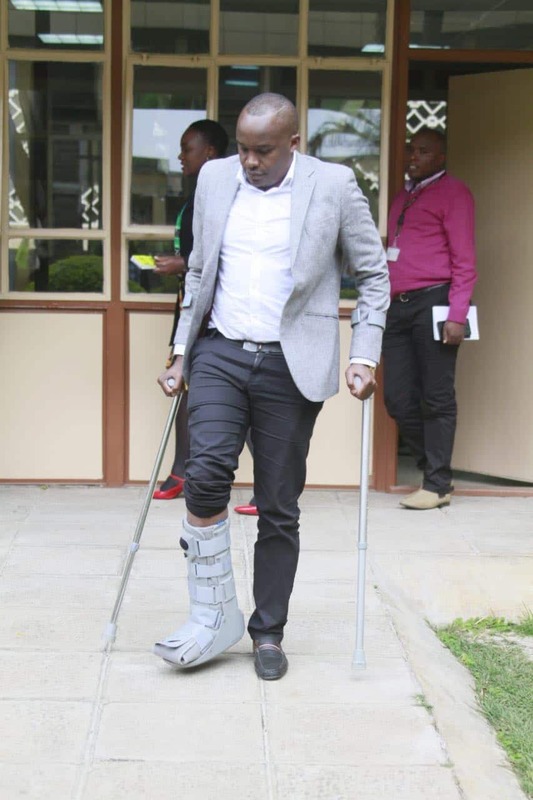 Starehe Member of Parliament Charles Njagua popularly known as Jaguar dislocated his ankle during a stampede as he was trying to negotiate with county officers against the arrest of a trader. He said that he was not aware that the county askaris had asked for police reinforcement who lobbed teargas canisters at the traders leading to a stampede as people scampered to safety. Jaguar has since been treated and discharged from the Karen Hospital. He said that he was not against the county government but urged the county officers to act in a more humane manner while conducting arrests. “We are not fighting the county government … city askaris should act in a humane manner and stop using excessive force,” he added. Trouble between the traders and the county officers started when five officials were arrested, the chairman of the traders went to secure their release but he was also arrested. There have been running battles between the traders and the police who lit bonfires on the road causing heavy traffic.